LEXCELERA is committed to building strong and lasting relationships with its clients and suppliers: ensuring the security and confidentiality of their personal data (name, professional address and email) is an absolute priority for LEXCELERA. 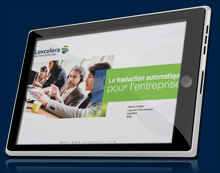 LEXCELERA complies with all French and European regulatory and legislative provisions on protection of personal data. LEXCELERA applies an extremely strict policy to ensure that the personal data of its clients and suppliers are protected. This data protection policy is managed in a transparent, confidential and secure manner. LEXCELERA does not pass on any data to third parties for commercial or non-commercial purposes. The www.lexcelera.com website is owned by Eurotexte, a limited liability company with share capital of €35,200, trading name LEXCELERA, Paris Trade and Companies Register no. 388 212 706, EU VAT no. : FR 64 388212706, with its registered office at: Passage du Cheval Blanc, 2 rue de la Roquette, 75011 Paris, France. Tel: +33 (0)1 55 28 88 00. The publishing editor of the www.lexcelera.com website is Lori Thicke, founder and CEO of LEXCELERA. Unless otherwise specified, the entire website, i.e. content, text, videos, images, downloadable documents and educational content, such as the “Les 100 pièges de l’anglais”, an English-language learning tool, is the exclusive property of the company Lexcelera (Eurotexte). It is therefore forbidden to reproduce, represent, copy, translate, rephrase in another work or post this content on another website without the express prior permission of its owner. The content published on the LEXCELERA website is for information purposes. LEXCELERA cannot be held responsible for any misinterpretation of this information. LEXCELERA absolutely does not guarantee that access to the translation portal or educational content will not be interrupted or that the information provided will be exhaustive, accurate and up-to-date at all times. The www.lexcelera.com website contains hyperlinks to other websites, whose creation is authorised by LEXCELERA. However, LEXCELERA has no means of verifying the content of the websites visited via hyperlink and therefore will not assume any responsibility for it. LEXCELERA does not record personal information allowing identification, except for forms that users may fill in voluntarily to access or benefit from certain services (e.g. a quote, a personalised contact or an e-book) or to subscribe to certain sections (e.g. the translation portal, Lexcelera news or “Les 100 Pièges de l’anglais”). This information will not be used without your consent; we will only use it to carry out your requests. The information collected on the websites is protected by the French “Information and Freedom Act” no. 78-17 of 6 January 1978. You can exercise rights of access, rectification, opposition to communication and deletion with regard to this information, on request to LEXCELERA, Passage du Cheval Blanc, 2 rue de la Roquette, 75011 Paris, France. Cookies are small text files that are stored on your computer, smartphone or tablet when you visit our website. A cookie usually contains the name of the source website, the “lifespan” of the cookie (i.e. how long the cookie will remain on your device) and a value (usually a randomly generated simple unique number). 3. What different types of cookies do we use? The different types of cookies that we may use on LEXCELERA’s website are listed below. Please note that if information collected via cookies constitutes personal data, the provisions of the Data Protection Charter shall apply and supplement this Cookies Charter. Essential cookies are necessary for the website to function and enable you to navigate within it and use its services and features. Without these cookies, we would be unable to provide some of the requested services or features. Session cookies: Session cookies are used to maintain the state of the application. You can manage these cookies through your browser settings. User identification: User identification cookies are used to ensure that users can only view their own information. You can manage these cookies through your browser settings. Security: Security cookies are used for security checks and controls. You can manage these cookies through your browser settings. Tracking cookies collect information on your choices and preferences. They allow us to remember a language, for example, or other local parameters, and to personalise certain features of the site accordingly. Language: Language cookies are used to record the language selected by the user and to offer good options. You can manage these cookies through your browser settings. Dimensions: When the user views the website from a portable device, a cookie is placed to indicate the size of the screen in pixels and optimise the display speed. You can manage these cookies through your browser settings. Last visit and last activities: The date of the last visit and last activities and other information are recorded so that users can be updated on “what has changed on the website since your last visit”, and to better understand user preferences. You can manage these cookies through your browser settings. Page history: Page history cookies are used to monitor the sequence of pages visited by the user. If the user obtains an error message while visiting the website, the cookie information is saved in a log file for the purpose of reporting and resolving the error. Facebook, Twitter, LinkedIn and Viadeo cookies are used to track members and non-members of social networks for analysis, market research and product development purposes. You can manage these cookies through your browser settings. Our website may contain links to or from partner sites and other third-party websites. If you navigate to one of these websites, please note that they have their own privacy policies and that our responsibility ends when you leave our website. Please check the confidentiality policies before handing over your personal data to third-party websites. 4. How are cookies managed? Most web browsers are initially set to accept cookies automatically. However, on most browsers you have the option of changing the settings to block cookies or alert you when cookies are sent to your device. Please note that you may refuse, accept or delete cookies from the website at any time by activating or accessing your browser settings. Information on the procedure to follow is available from the help menu on your web browser provider’s website. However, please note that if cookies are disabled or deleted, not all the features of our website will function correctly. If you have any questions about this Cookies Charter, please contact us. Email communications are not always secure; please make sure that you never provide any credit card details or sensitive information in the emails you send us.